For the second straight year, the University of Wisconsin football team will enter spring practice with a new defensive coordinator as Justin Wilcox accepted the head coaching job at the University of California-Berkley Friday. Wilcox accepted the five-year deal with Cal after only one year at the helm of the Badger defense, a move that was far from surprising, but will have ramifications deep into the tenure of second-year UW head coach Paul Chryst. 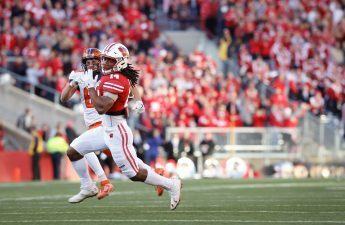 Recent Wisconsin football teams are known for their gritty defense that takes in walk-on players as freshman and turns them into future NFL standouts. The past two season have been no different as the Badgers finished in the top seven in total defense both years, including a second-place finish in scoring defense in 2015. That identity, however, is now in question as a secondary with more vacancies than consistent starters, the departure of arguably its two best linebackers and the loss of leadership for the second straight year will undoubtedly weigh heavily on the UW defense. For the 14 returning defensive seniors next season, they will have to now answer to their third defensive coordinator in three years. Dave Aranda, who preceded Wilcox as UW’s defensive coordinator, left UW for the defensive coordinator position at Louisiana State University less than 11 months ago, citing money and the promise of SEC football as his reason for departure. While UW will never be able to control the allure of a large SEC school or a promotion to head coach in the PAC-12, the question going forward will be whether the school can manage to hold on to a defensive coordinator for even a single recruiting class. UW Athletic Director Barry Alvarez has frequently said he believes the head coach should yield most of the power over the team and has demonstrated that over the years through not just delegation of authority, but salary. While Chryst ranks 43rd in highest paid head coaches at $2.7 million a year, Wilcox ranked a measly 100th in highest paid assistants at $500,000 a year, 36 spots behind Joe Rudolph, Wisconsin’s offensive coordinator, who rakes in $574,800 a year. What’s most shocking about those salaries, however, is the stark differences in production between the offensive and defensive side of the ball for the Badgers, especially when considering Chryst is one of the few coaches in college football who calls offensive plays. 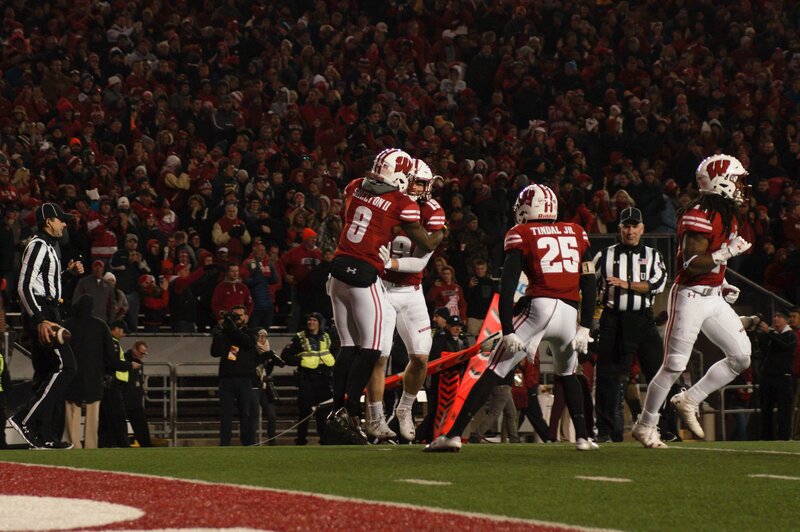 The Badgers ranked 89th nationally in total offense this season, and even though Wisconsin is know for the slow, time-crunching run style offense, it was the defense that lead to Wisconsin’s signature wins this season. Outside of the immediate future for a Wisconsin squad currently ranked No. 9 in ESPN’s Way Too Early College Football Rankings for 2017, the problem of undervaluing the defensive coordinator position could start to deteriorate the reputation of the Badger defense and mark a significant downturn in the program. With signing day less than three weeks away, another vacancy at the defensive coordinator position could cause Wisconsin’s already 38th-ranked recruiting class to plummet as defensive recruits begin to question their commitment. Snagging Wilcox last offseason was seen as an unexpected but welcome surprise for the Badgers as he had just served a relatively successful stint in the same position at the University of Southern California. Now Alvarez and Chryst must hit the grindstone again to find a replacement who can develop a new group of Badger defenders, before the senior leadership of the old ones slips away. A potential solution lies in Alvarez’s tendency to hire within the program throughout his 12 years as athletic director. With the news of Wilcox’s departure still in its raw stages, no big outside coaching names have been rumored for the position, but a few inside names including defensive back’s coach Jim Leonhard and outside linebacker’s coach Tim Tibesar are at the top of the list. If Alvarez continues his stance on paying assistants on the lower end of the spectrum in the national picture, then hiring internally could be the answer to the potential downfall of the tough Badger tradition. Leonhard and Tibesar are unproven as big-time assistants, but have been around the program long enough to be able to replicate some of the recent defensive success and remove the worry of variability in an outside hire. Regardless of who Alvarez hires for the position in the coming months, the defensive players will once again be asked to be the vocal leaders on a tough Badger front. 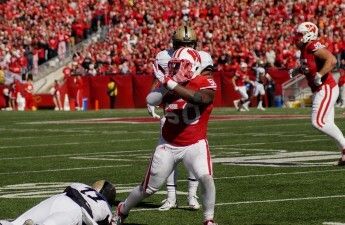 Even without Wilcox, the defense enters spring practice as the focal point of the Wisconsin team.